Top-quality animal proteins, derived exclusively from egg albumin in the process of ultrafiltration. The ideal source of nutritious protein in every serving! 139 loyalty points Your cart will total 139 points that can be converted into a voucher of 5,56 PLN. One of the basic tasks of sports supplementation, the provision of adequate amounts of proteins (protein). Numerous studies based on the determination of nitrogen balance in the different experimental groups, showed that the protein needs by training people for the enlargement overall muscle mass is 3 to 5 times higher than in person nietrenującej. 4+ EGG + consists of the highest quality protein of animal origin, derived exclusively from egg albumin in the process of ultrafiltration. Ovalbumin protein is the aminogram most similar to a human protein called. "Protein perfect", the bioavailability of more than 97%. Egg + contains 75g protein per 100g each. 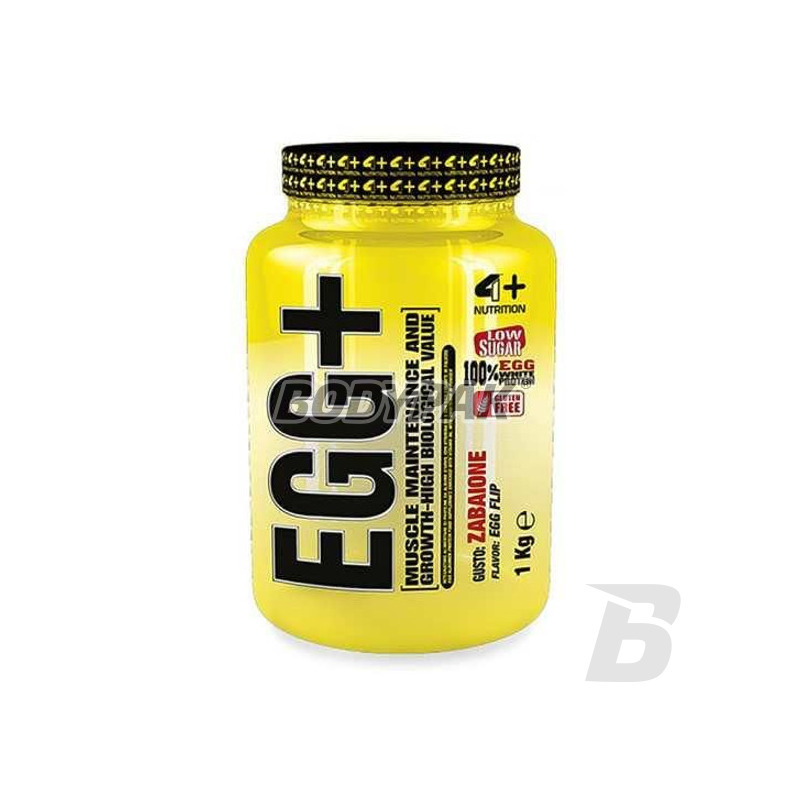 EGG + contains a complex digestive stimulant-helping to effectively use conditioner and other meals, live bacterial ribonucleic acids (DNA, RNA), and vitamins. It also contains neurotransmitters that improve the course of the electrical pulse in the neuromuscular system. The product is used widely in complementing the diet intensively training athletes during the expansion of muscle volume. 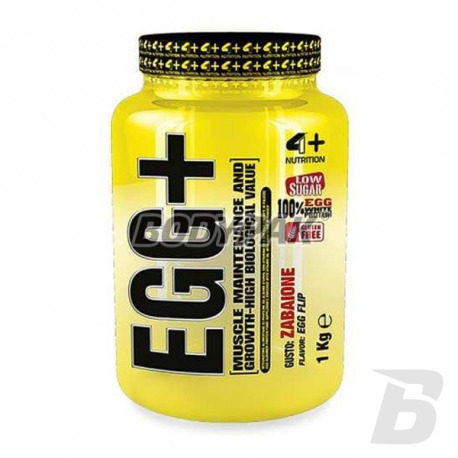 4+ EGG + is a product of the latest generation running in different directions (muscular, hormonal, nervous), which makes it more effective than supplements conventional type. Składniki (dla smaku Zabajone): proteiny pochodzące z albuminy jajecznej; aromat; emulgator: E322 (lecytyna sojowa); substancja słodząca (sukraloza); witamina B6 (chlorowodorek pirydoksyny). Polecam ze względu na skład i ceną. Efekty zauważalne już po kilku tygodniach stosowania! High quality protein supplement created for the most demanding female palate! Excellent taste and composition based on whey protein concentrate (WPC) practically free from lactose (below 0.01g per serving). Excellent supplement to the diet in full-value proteins. Choose the best!